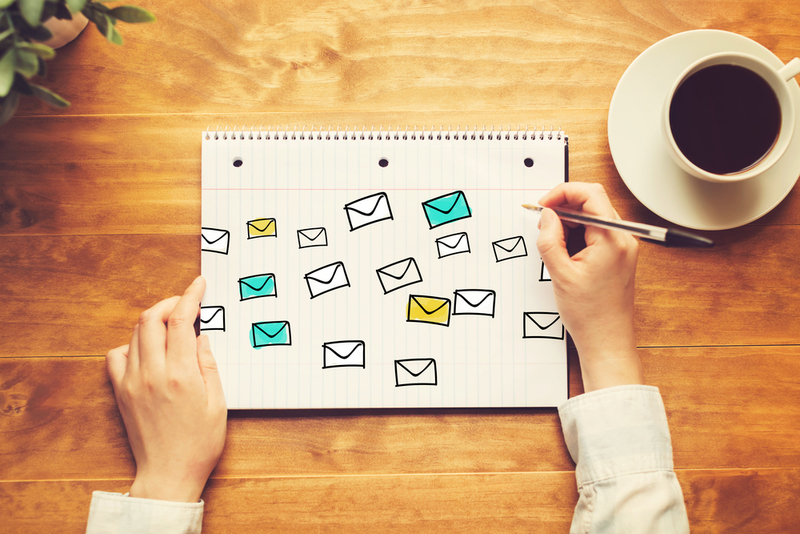 Connecting with your email audience lives or dies based on the follow-up induction period you have in place. This initial list bonding time-frame is critical for converting members into faithful followers or losing their interest too early in the game. With a direct line of follow-up email communications, you can penetrate your message to new members offering them your brand of value. And once they align with the results you deliver, it will make them want to keep opening up your email messages long term. While email marketing formulas can vary like many other marketing techniques, the following approach is being used by many pros who know how to deliver their messages and convert members into a huge, growing, responsive list. Email today is all about relationship bonding. You cannot easily break through the noise just by screaming your sales message louder. That used to work but buyers are much more aware and can spot thin messages and unsubscribe or just ignore you. You need to push the value line with your branding, however, without looking like you’re pushing too hard. One way of doing that is by using pre-written emails loaded into your autoresponder in a 7 day sequence. Within a prewritten, well thought out sequence of emails, you can deliver your lead magnet, introduce yourself and your brand. Plus, start the bonding process where you can grow your own tribe of followers. While story telling is beyond the scope of this article, keep in mind people remember and follow a storyline better than technically delivered bits of info. So, if you can deliver a storyline connected to any of your communications, that’s always the way to go whenever you can apply it. And if you don’t have a story as per se you can apply, then use analogies that will help drive your message using the visual part of your prospect’s mind. Soft sells and hard upsells need to be tested but with the format you’ll find below, you’ll now have something to work with that can be tweaked to get results – just like it does for the pros. Think about delivering good content with a one problem, one solution approach to keep the interest building. This can be touched-on through various related topics in your niche delivered through time. It gives you a way to keep a long line of communication growing while establishing your brand. Now of course, you don’t want new list members to expect 100% freebies forever. Not at all, because they wouldn’t value the relationship and soon tune you out by devaluing your emails. You have to keep a balance between the value you give freely and the value you offer that carries a price. However, before you expect a more responsive outcome from your list, you should continue to exchange value upfront and allow time for it to penetrate. There’s a psychological reason for this. It’s the law of reciprocation. The more value you keep providing translates into reciprocation later when you ask for the sale. In general, you want to get things to the point where you have already gotten them to nod “yes” by helping them out more times than you have hit them with sales links. The mental blueprint effect of this is that you are seen as a helper. This “yes” nods will also produce the trusted buyer actions you want when you ask for the sale. As long as you have built up enough trust beforehand, you can expect reciprocal results from your list. Keep the balance and you’ll be considered golden when they see your From: address. Here’s what you need to cultivate when bonding with your list. • Focus on developing a compelling value proposition. • Create an effective way to keep communicating with your members dripping value to them over time. • Offer clear insights in their area of interest. 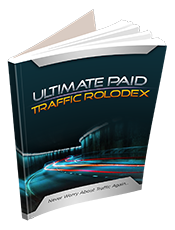 • Try giving them bonuses without selling anything but just for being your member. • Ask them what they want to know and reply with a solution-based answer or make it web-based survey to get list feedback. Most email marketers have no clue on this and simply start firing ads and their list dies fast. This is why many of the product launch marketers continually have launch after launch just to keep retooling their lists. They need to keep reinventing their buyers because the response rate can start to drop quickly from blasting promos and not much else. They feed off of their affiliates to bring them new traffic. They‘re simply renewing their lists over and over again based on new promotions but not necessarily bonding with their audience in the process. And if you are an affiliate driving your members to a stream of launches, you can easily lose your list power by doing too much of it. Keep in mind you are constantly delegating your list out and away from yourself into other marketers hands. This is an easy recipe for a non-responsive email list that you want to avoid. Sure you can make commissions doing that but it’s not a long-term sustainable business in the long run. Using this 7 Day email sequence you can start bonding with your list and develop a relationship so you can retain their best interest while continuing to build a bond with them. Let’s go through this 7 Day proven formula you can start using right away. This is the first email in the series. In a 7 day email sequence it’s usually spread out over 14 days sending out your emails every other day. Your new members have opted into your list and are now ready to start getting your messages pre-loaded in your follow up email sequence. Some email marketers lose the game right here. They send out upsells too aggressively and too early right in the welcome email. This turns off subscribers before the relationship can start to bond. It also can give the wrong impression because it’s likened to meeting someone briefly – then hitting them up for a date too soon without first establishing a solid connection. Normally, we avoid people like that and turn them down. It’s the same in email marketing. • Introduce and brand yourself. • Send out content with a result built into it for your members. • Be sure not to sell anything yet in the Welcome email. • Just deliver on the freebie they signed up for. • Give them a cliffhanger on what to expect in the next coming emails. You can refer them to a related content article, but most of all, be sure to deliver on your initial freebie promise. Now here’s one thing to understand about the mission in establishing a good relationship with your list. While the new members may have already seen an upsell in the funnel after the initial signup, that’s enough advertising this early in the relationship whether they converted into a sale or not. You can remind them of the upsell in the coming days of the sequence. But let’s create a little space before we hard sell them again and instead, bond first. So before we lead them to our offers, we need to deliver enough connection and value so you can break through the noise. Remember to do it in a way that invites them to want to remain your member by developing a relationship with your members first. Now that you have broken the ice in your welcome email and delivered your freebie, take in consideration some of your new members may have missed that email. Use a little bit of goodwill to make sure they got your freebie by giving them the download link again. This will go a long way in acting helpful which is the perfect role to play in day 2. Next introduce another new value-added tip for them on topic. Drive them to a blog post you did or link to another authority blog article that could help them. • Updated them with the freebie link again. • Offered them some extra value by pointing them to a helpful piece content. • Branded yourself along the way by being helpful. At the bottom of the email leave a cliffhanger or sneak preview of what’s coming next without giving too much away to drive curiosity. Now that you have started bonding, delivered on the freebie and shown you can be helpful, it’s time for a soft sell. Idea: Visit a blog on your topic and look for problems people are interesting in solving. Once you zero in on a related problem you think your list members would like solved, use that as the topic of your 3rd email for day 3. Take notes and compile an email that reflects the problem then show how to solve it as the solution. Now this is optional but you could solve the whole problem and just keep moving the value line forward. Or you could add a soft sell at the bottom offering a way to get more information on how to solve the problem. It could be your own product or one you endorse containing your affiliate link. This is a soft sell and is acceptable as long as it’s not a hard sell with too heavy of a promotional tone. The psychological effect of not hard selling them leaves an open door for a soft sell approach at this stage which is much less aggressive. Also keep in mind, if you had an upsell you showed at the time when they first joined your list, you could offer it to them again here in email 3 as the solution to the problem you have presented. It’s still early-on in the sequence but now they know there is something for sale and this is not a freebie list. And that is something you want to establish to your list members without waiting too long. On day 4 we are not going to sell anything since your list members could be anticipating it as the typical thing most marketers do. i.e. Once selling – always selling. And you don’t want that. Instead, surprise them by switching back to adding value and branding yourself which will go a long way. • Give them more value with another related blog post you refer them to, etc. • Add another cliffhanger for what’s coming next. In email day 5 your list is getting to know you and can tell by now you are not the typical email product launch spammer. • Rinse and repeat day 3 here only with a new problem/solution adding in another soft sell. At email 6 you are now further bonded with your list at the 12 day mark. They have heard from you and you have delivered value and branded yourself in the previous 5 emails. Now it’s time to hit things a little harder and present value in the form of your own product you can offer or an affiliate product that is on topic. Whichever product you offer, it must be a good exchange of value for asking them to buy. You are adding value in a paid solution where you can step out a little more and directly sell it. Make sure it delivers on its promise and don’t just sell something to sell. That will only let them down and dilute any trust you were building. What you are trying to establish here is trust in buying through you. This can be a lower ticket item just to start building buyers on your list as once they make a happy purchase with you (without buyer’s remorse) then you are on your way to the kind of buyer trust that builds a lucrative list. At this point you may see a sales boost in conversions since you have been laid back most of the time in the sequence not hard selling them every email. However, you made it clear this is not a freebies list while offering your help which is a great primer for future mailings. So asking for the sale directly and being firm is ok at this point. You’re about all the way through the induction period with just one more day to go. Leave a cliffhanger for day 7 so they will expect to hear from you adding a curious angle to it. Here on day 7 you can hit with another hard sell. It can be a back to back follow up on the same product offer as day 6 to remind them about it or something completely new. While day 7 holds one more hard sell for the road, this is just the beginning of many more email campaigns to come. Beyond the 7 day sequence you will soon go into live broadcasts emails to communicate with your list on your current blog posts or other things you want to keep them updated on. They have now been primed for buyer action. And if you continue-on with these concepts from this 7 day email sequence, i.e. showing valu and solving their problems with solutions, you can be on your way to building your own tribe of thousands of responsive followers. Keep in mind these are real people that align with your message. And treating them like people rather than a database lead will make your list building venture extremely rewarding. Keep it fresh and be consistent. Don’t stop emailing after day 7 is completed. Many marketers stop following up. But don’t start hitting them with a barrage of emails and offers too much either. Publishing 2 to 4 times per week is a good rule of thumb to keep in mind. Just leave some space between selling them while consistently sending more value with no-strings. Then use the soft sell and come back to value-only – then right into the hard sell. Mix things up so you are not always selling every day like most other marketers, who are diluting their lists. Be different and use the elements from this 7 day email sequence so you can stand out from the crowd. Become a helper to your list members so you can build a nice tribe of responsive followers that can last for many years to come. Great tips thank you. The second email with the reminder is my big take away here. This follow up sequence is on the money. this is exactly what I needed. Gauher do you have a product for this or a “done for you solution” product? I have been studying this. You are dropping some jewels here. Thank you so much for this post. Fantastic tutorial. Helps me with a new niche I am working on at present. you practice what you’re teaching here. Your weekly Marketing Takeaways is a type of trusted piece of curated reading I always open and read.